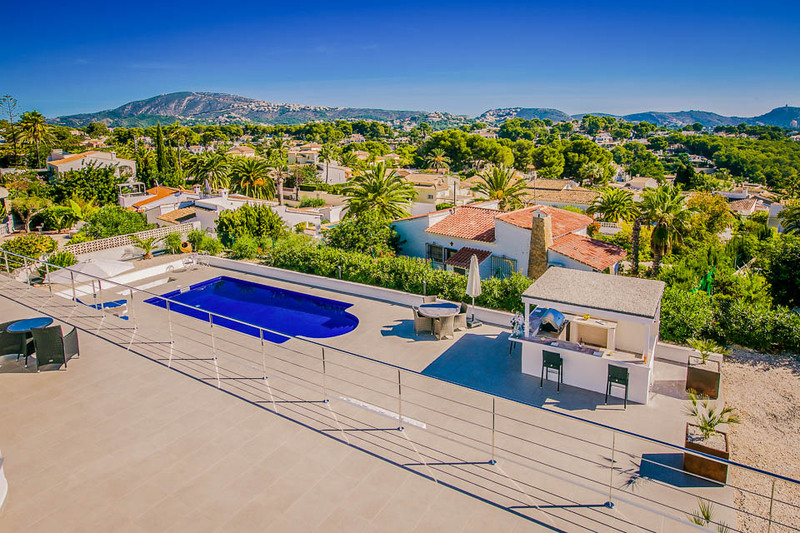 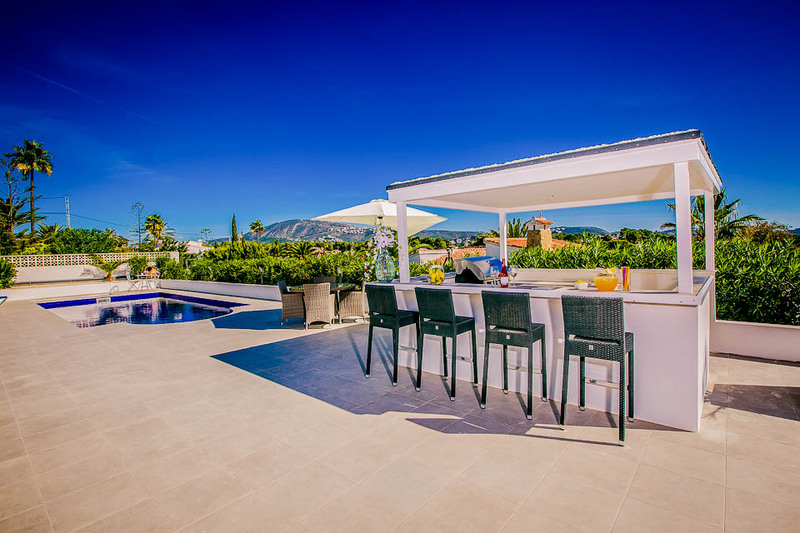 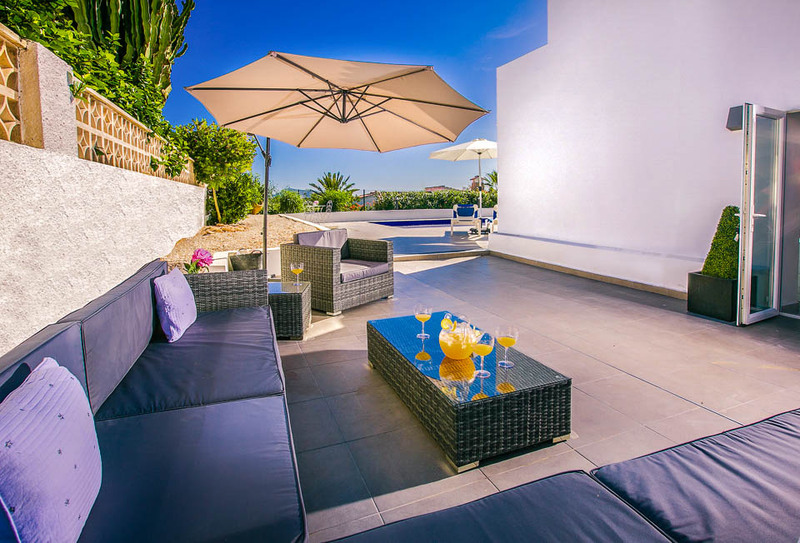 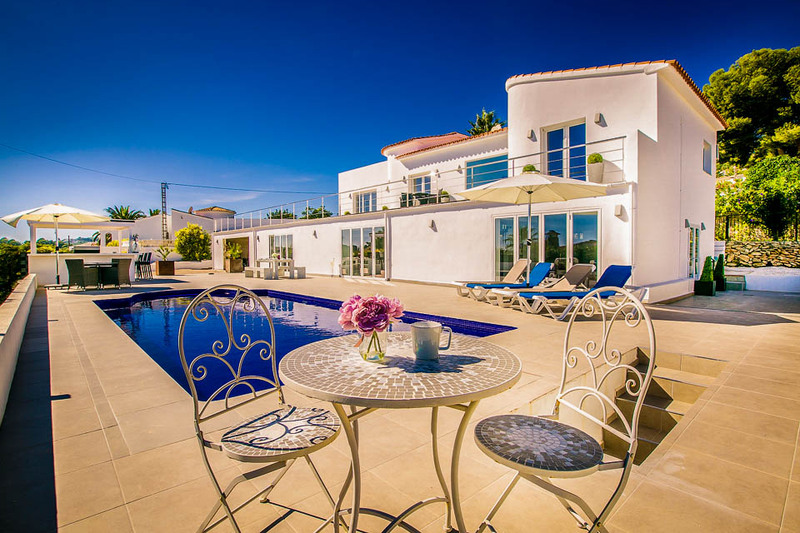 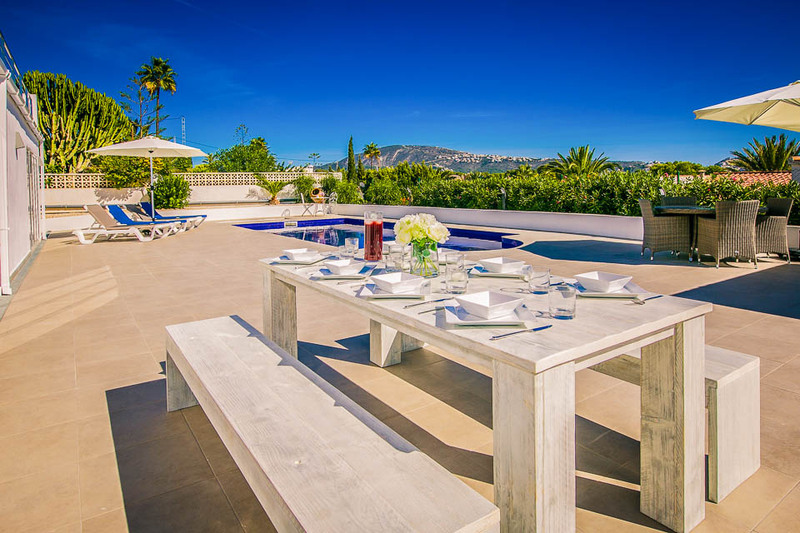 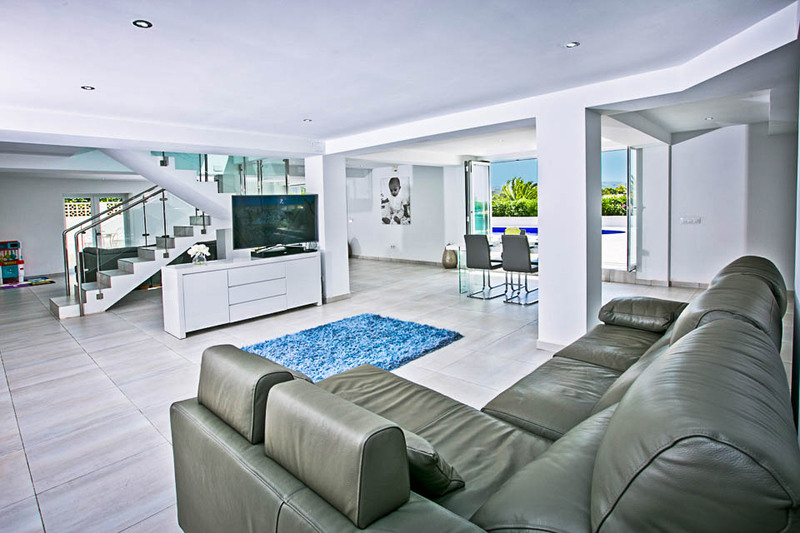 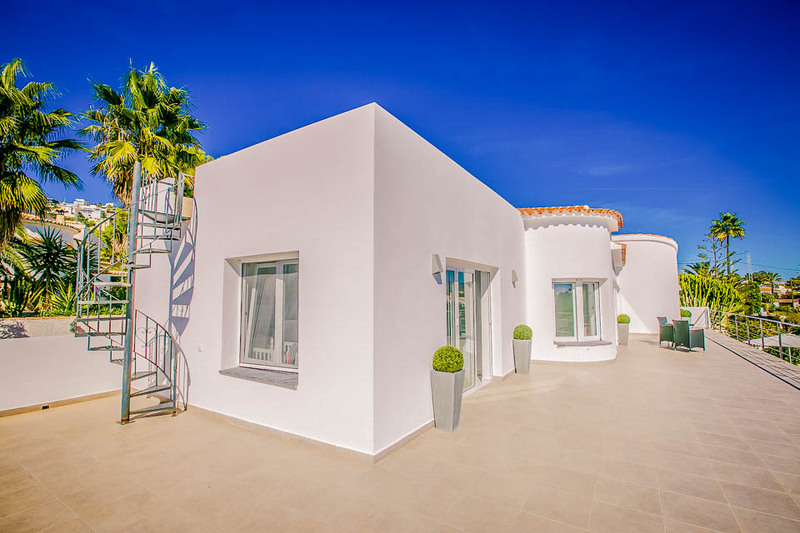 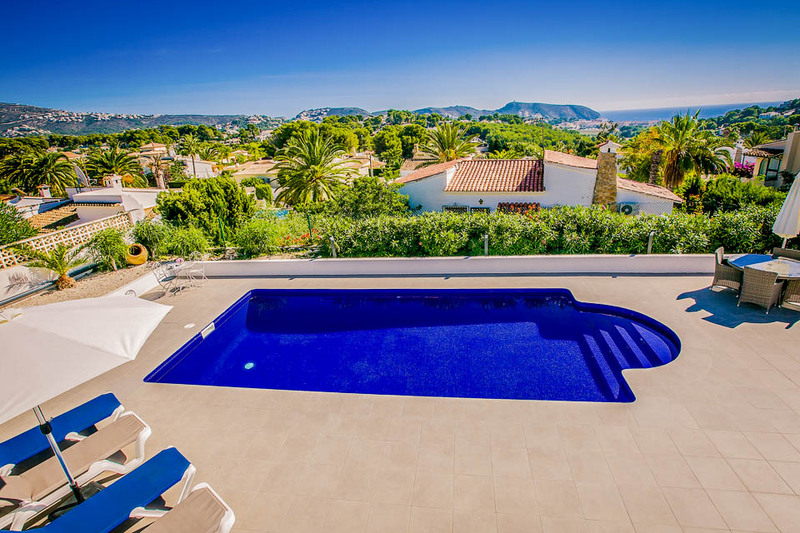 Located close to the centre of Moraira, Villa Isa is a stunning 4-bedroom villa on the Costa Blanca, very close to the local bars and restaurants. 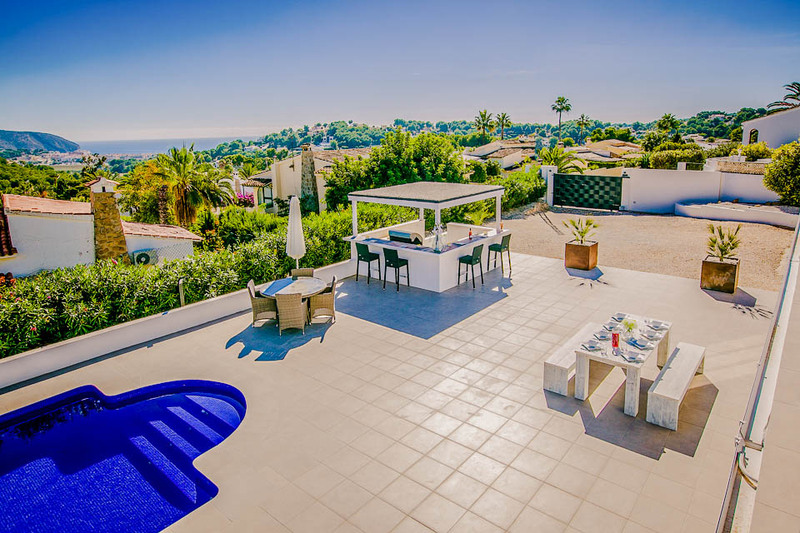 With sea views and its magnificent pool and terrace, this upscale villa enjoys surroundings that are both beautiful and tranquil. 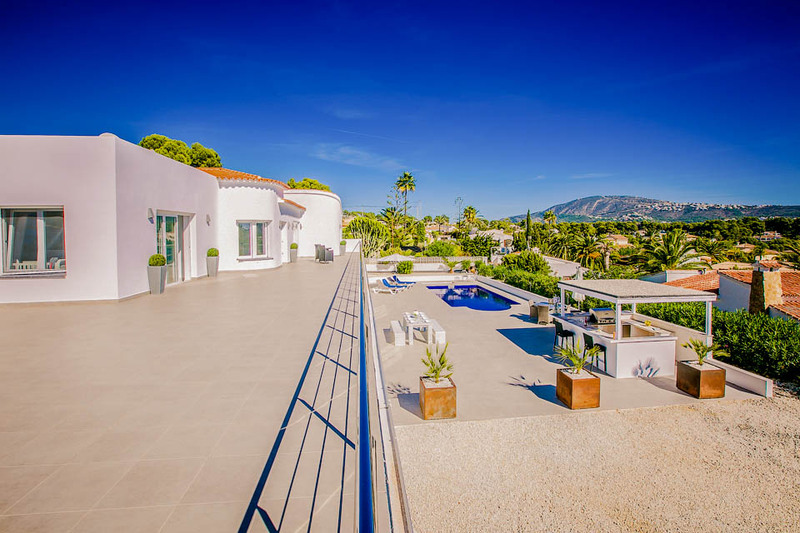 Including a poolside bar and summer kitchen, this villa’s impressive terraces surround an 8m x 4m pool. 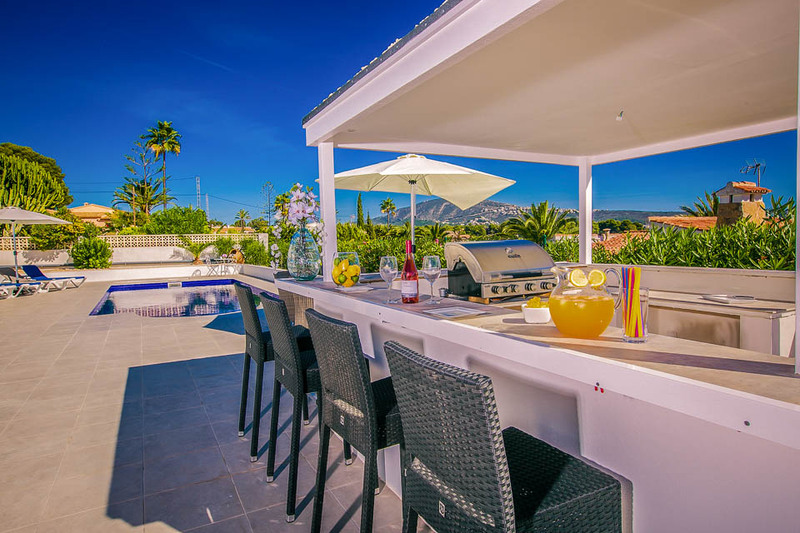 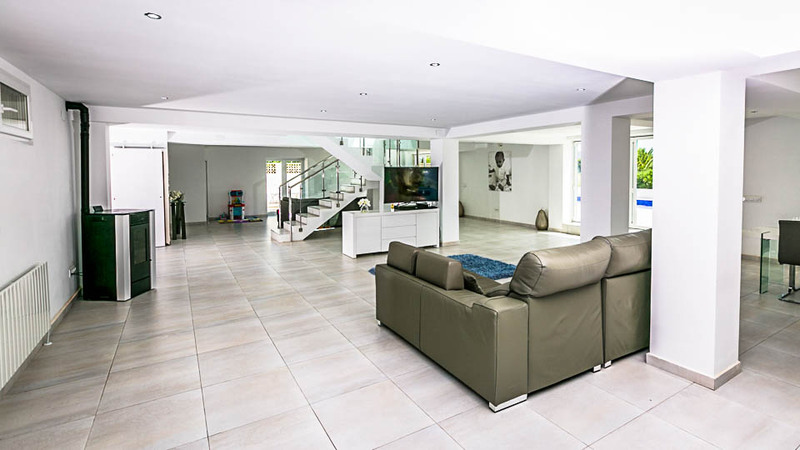 You have a barbecue and dining area, lots of seating and sunbeds, as well as an American-style pool table – so there’s plenty to amuse yourself with before you even enter the house. 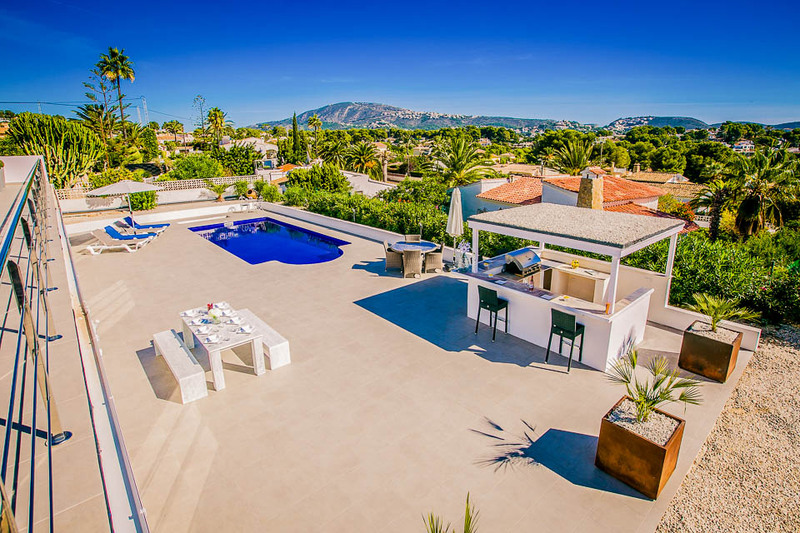 The villa provides great views of the sea and valley, with a particularly fine view of Moraira town from the upper level. 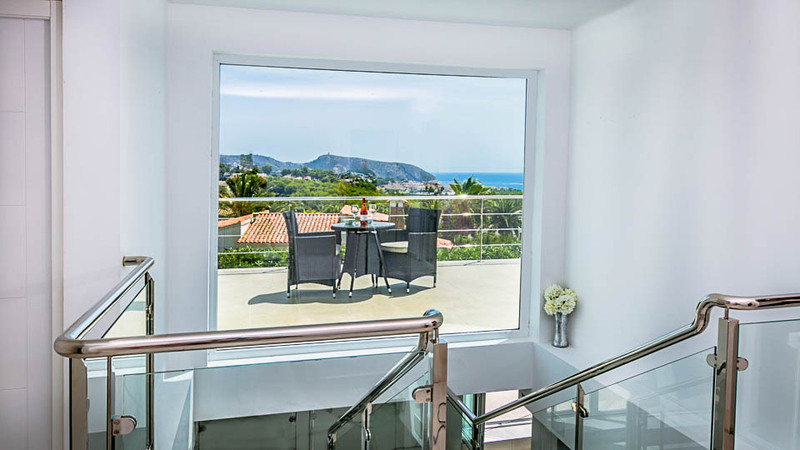 On this floor, you have four air-conditioned bedrooms, all of them spacious and attractive, and three of them with patio doors opening onto the upper terrace with seating. 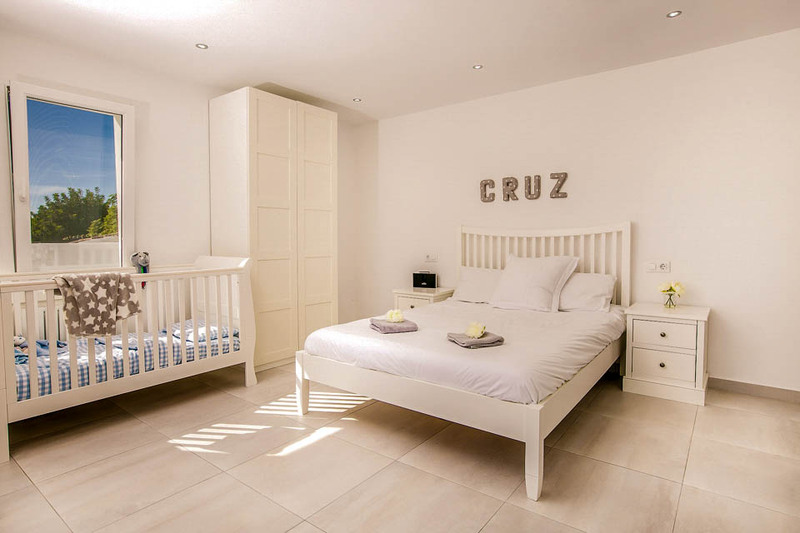 The master bedroom features a king-size bed, built-in wardrobes and a high-quality en-suite. 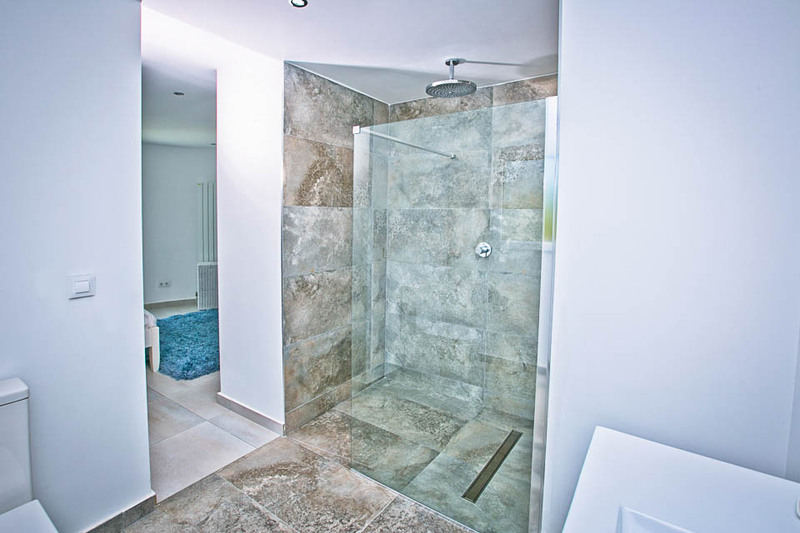 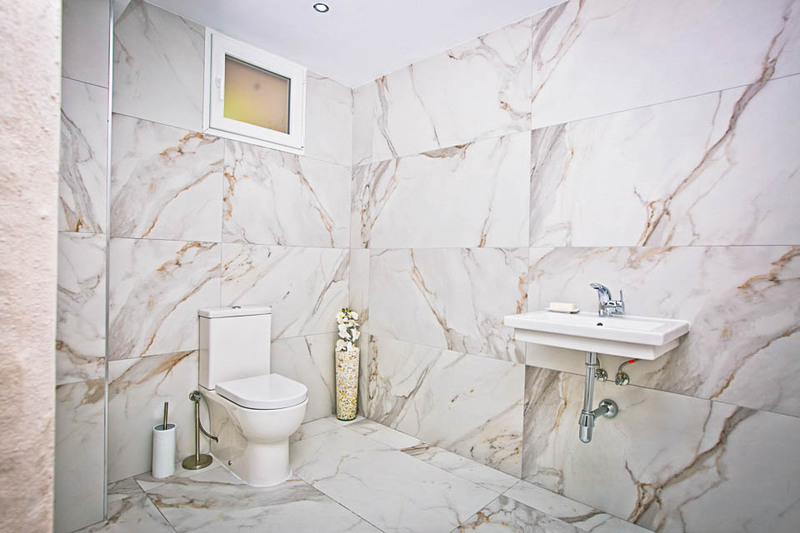 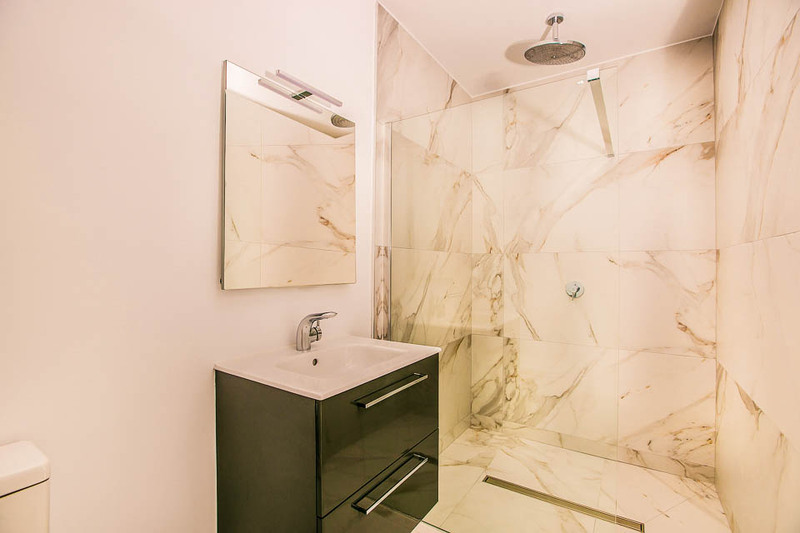 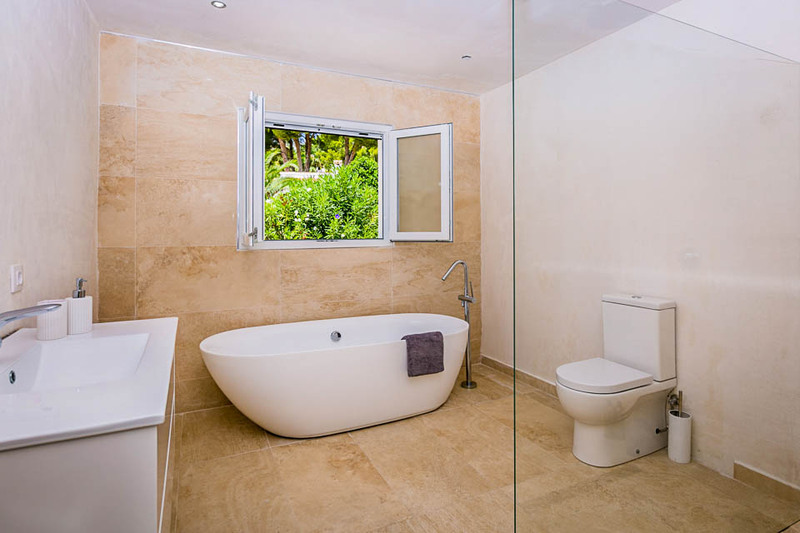 One of two double bedrooms also has its en suite, and the fourth bedroom is a twin which shares the large, main bathroom with the other double. 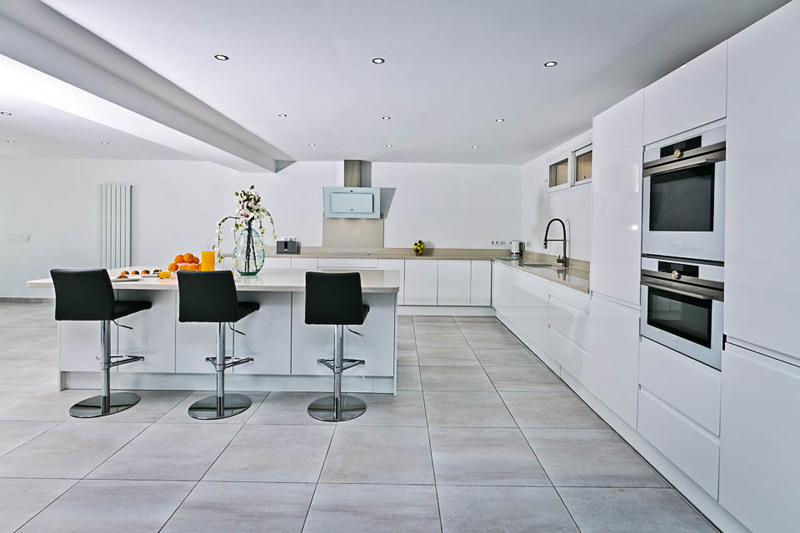 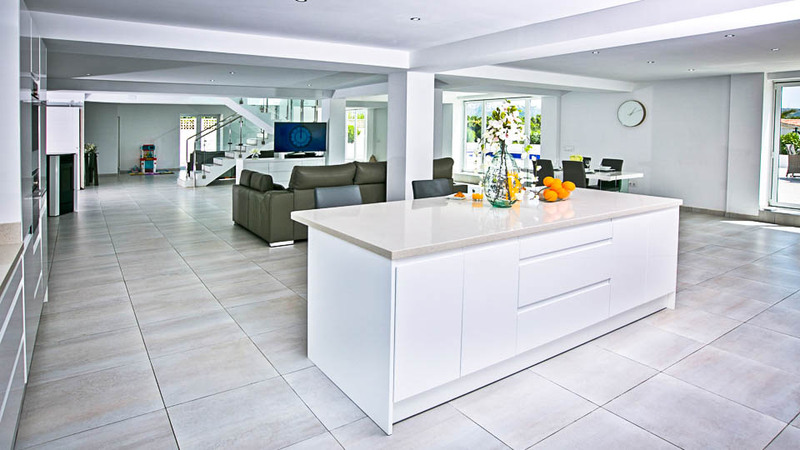 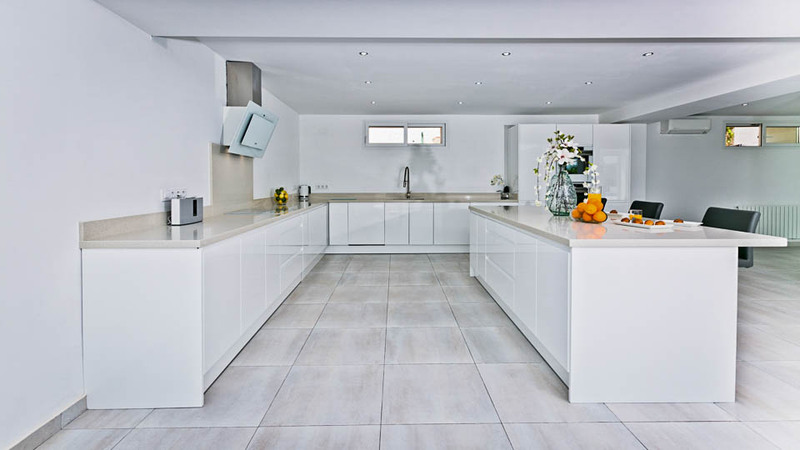 Villa Isa has a well-equipped kitchen which forms part of the open-plan living space on the lower floor. 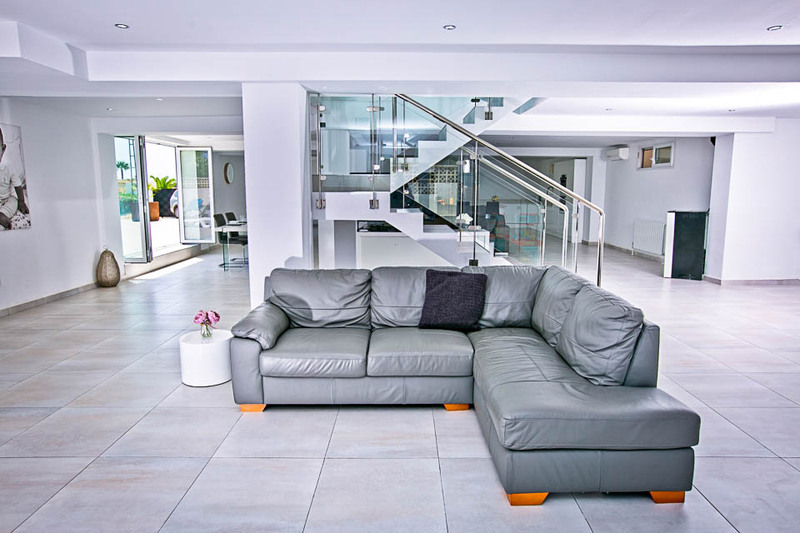 You can relax on the comfy leather sofas, and enjoy Freesat channels on the large LCD TV. 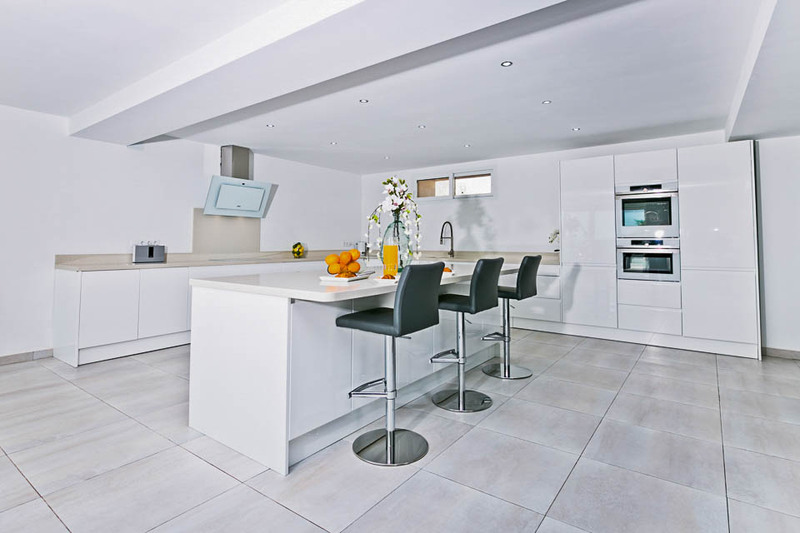 The luxurious kitchen includes an electric hob, fan oven, fridge freezer, microwave, coffee machine and dishwasher, and there’s another dining area inside. 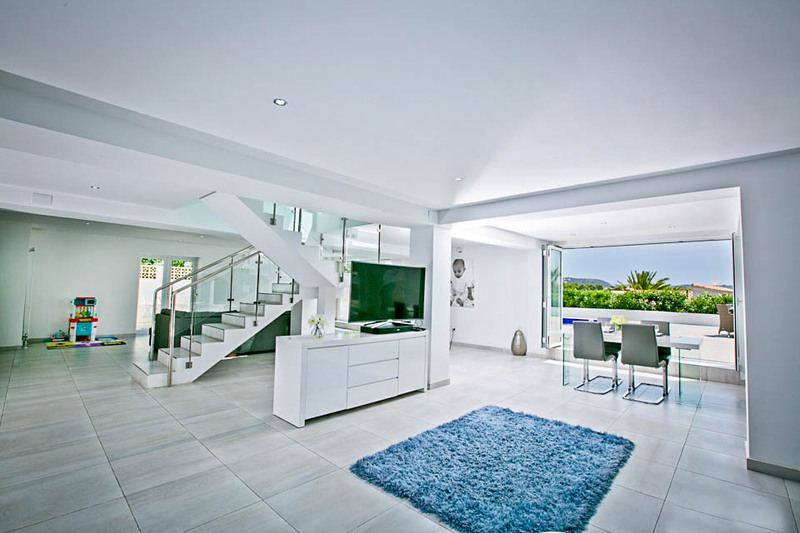 At the far end of the living area is an eye-catching glass and chrome staircase to take you to the bedrooms. 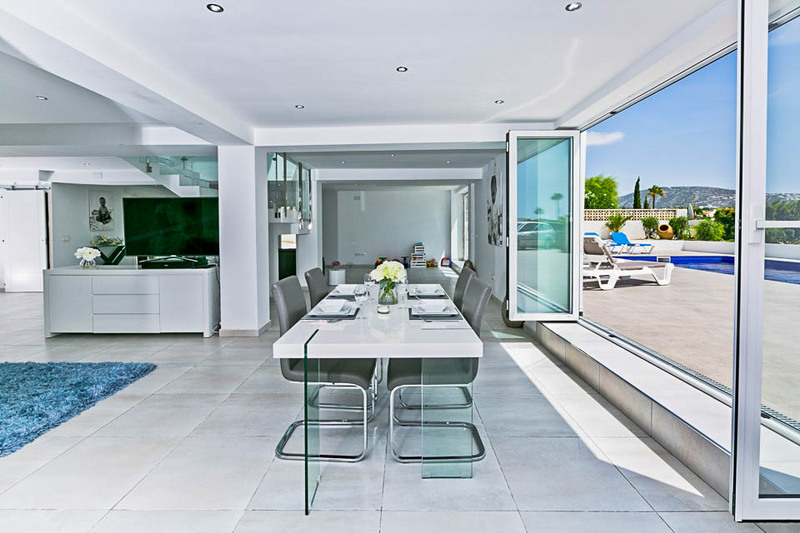 The centre of Moraira and its main beach are around 25 minutes’ walk from the villa, or it’s about five minutes by car. 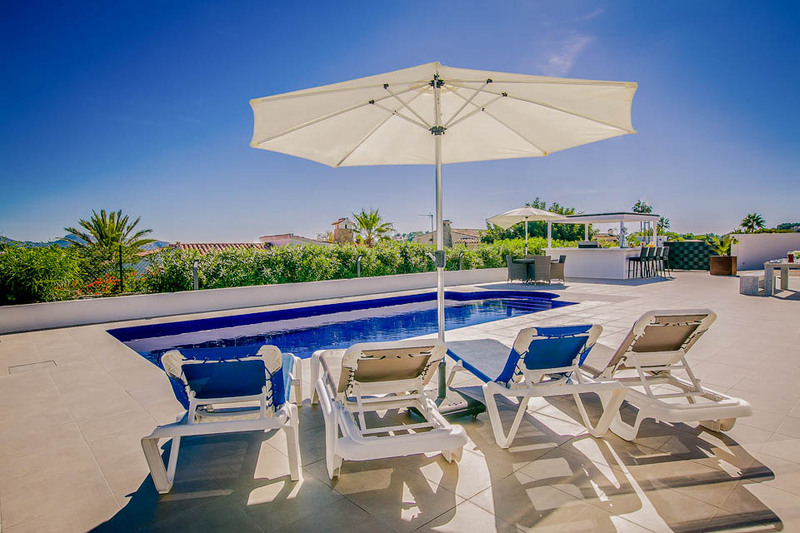 You are sure to enjoy your time discovering this famous town – relaxed beach life by day moves seamlessly to cool dining on the terraces by night. 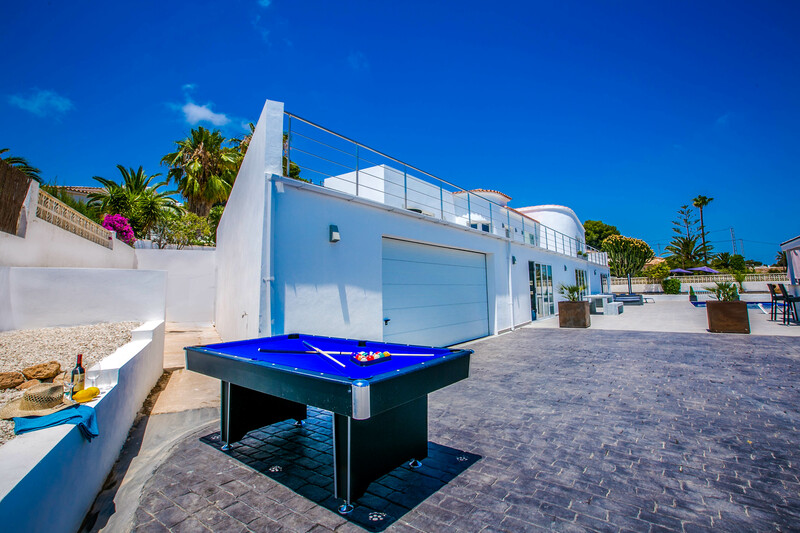 Other activities available include water-sports, golf and boat trips, and the town also has a nightclub or two if you want to keep the party going until late.